You have the power to update your handicap manually at any time in the 18Birdies app. Tap the blue number above Handicap. 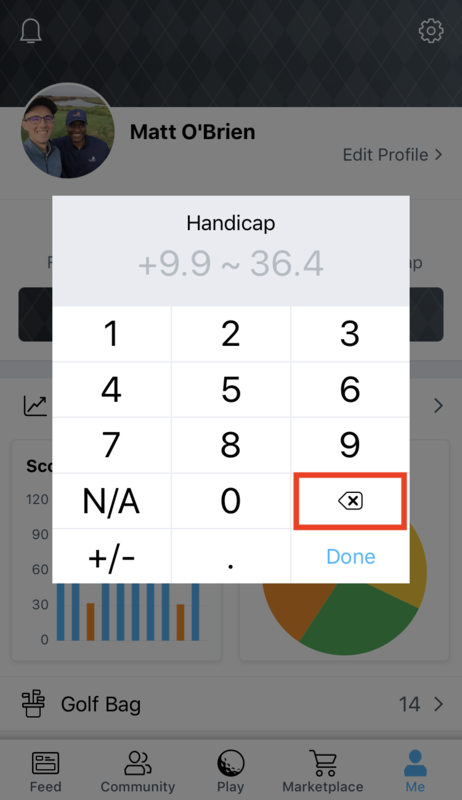 Enter your updated handicap number and tap Done to save. If you already have a handicap in this section, you may need to tap the backspace arrow in order to clear the old handicap. Once cleared, simply enter your new handicap and tap Done to save.